Press the following key combination: Alt + P.
On the Settings page, go to the Privacy & security section. In the Cookies block, enable the option to Allow local data to be set. 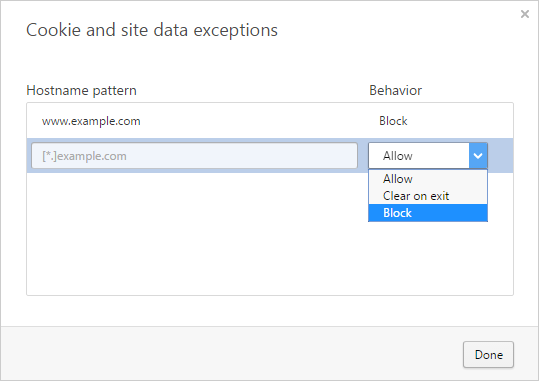 In the Cookies block, click Manage exceptions. Enter the website address and select the appropriate value from the Behavior list. Make sure that only the Cookies and other site data option is enabled. 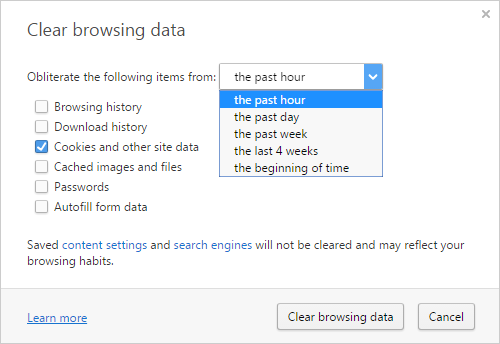 In the Cookies block, enable the option to Keep local data only until I quit my browser.